Video by Seacrest Studios Intern, Katie Klochany. 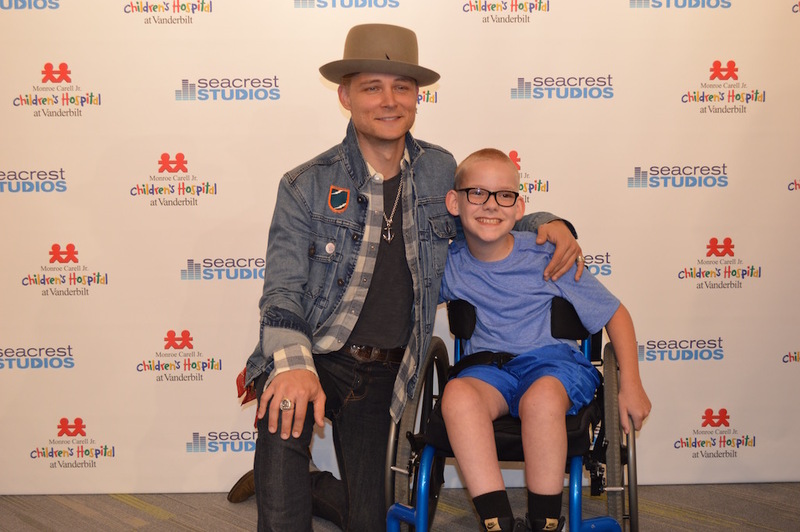 Blog by: Mamie Shepherd ---- We always love when Frankie Ballard stops by Seacrest Studios...and patients were very excited to welcome him for the first time to our Seacrest Studios at Monroe Carell Jr. Children's Hospital at Vanderbilt! Frankie's last visit was filled with fun questions from patients like, “How old were you when you sang your first song?” He told us about being on the road and even took a poll of the audience in Seacrest Studios to find out what might make the best “bus pet”. We wanted to know all about his hit song, Young and Crazy, and how Frankie would make a hospital gown cool. His advice was to “be creative, be confident, be comfortable.” There were so many little fans in the studio hanging on his every word! We even had one patient who knew the songs he performed by heart! It was fun to find out that, after a big break winning Kenny Chesney's Next Big Star competition, Ballard went on to open for Chesney, Lady Antebellum, and Florida Georgia Line! Ballard's new album, El Rio, was recently recognized by Rolling Stone magazine as one of the Top 25 "Best Country and Americana Albums of 2016" so far. We were lucky enough to catch this generous, talented artist while he was home in Nashville. Come back anytime, Frankie! You're as “Good As Gold" to us!